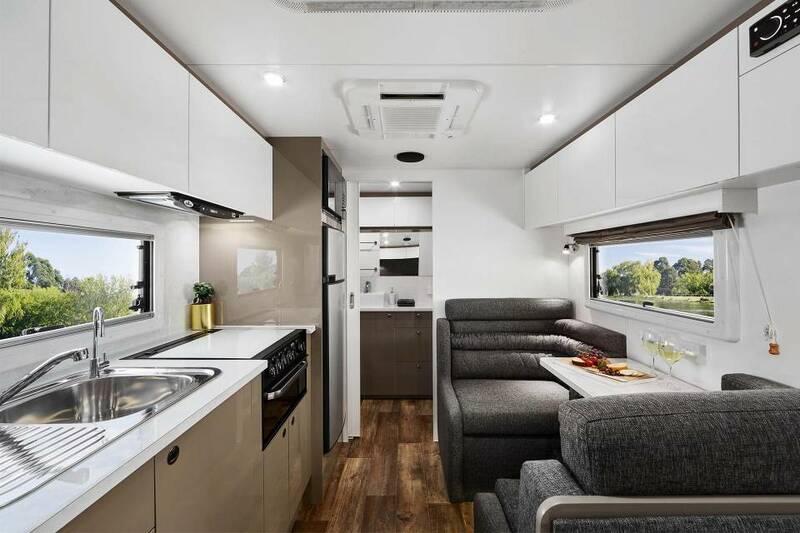 Head off on countless outback adventures in this rugged, robust caravan while enjoying the modern home-style furnishings and innovative cabinetry that have been tried and tested by Lotus Caravans for more than 10 years. 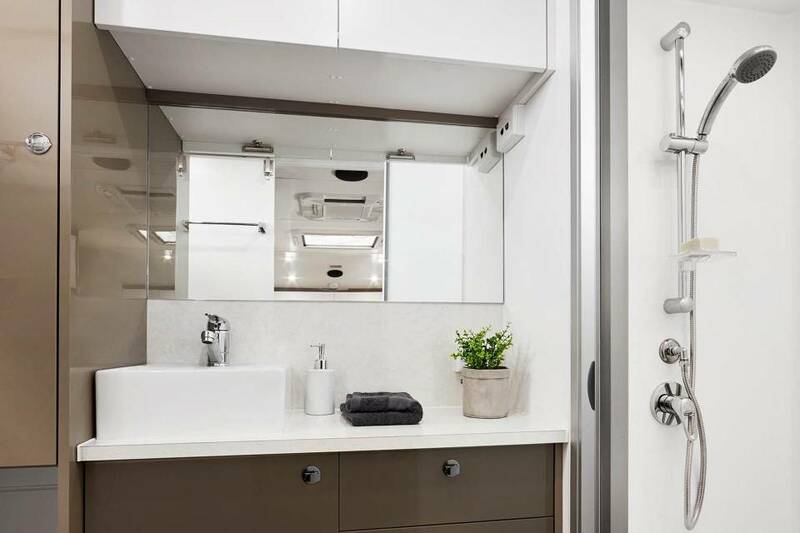 The fully equipped kitchen with premium laminate bench tops and comfort lounge ensure five-star luxury in the roughest of places. 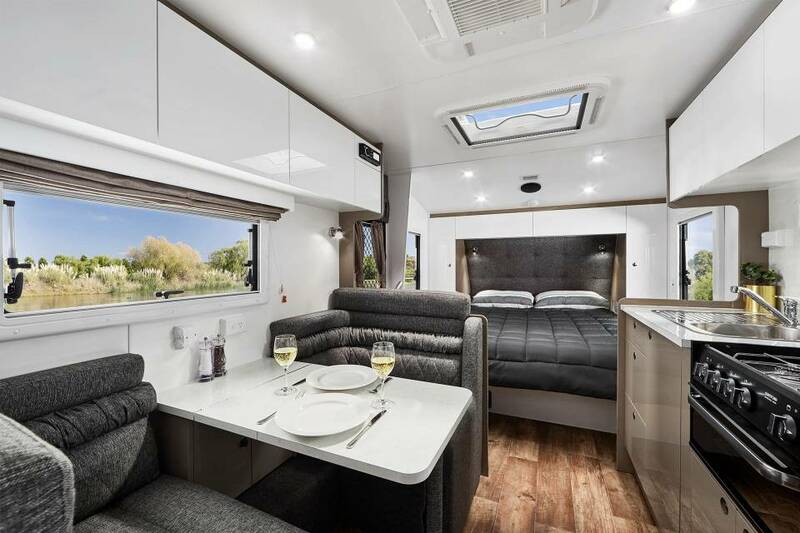 There is one purposely designed floor plan for the Tremor, and an extensive colour range to suit everyone’s inner interior decorator. 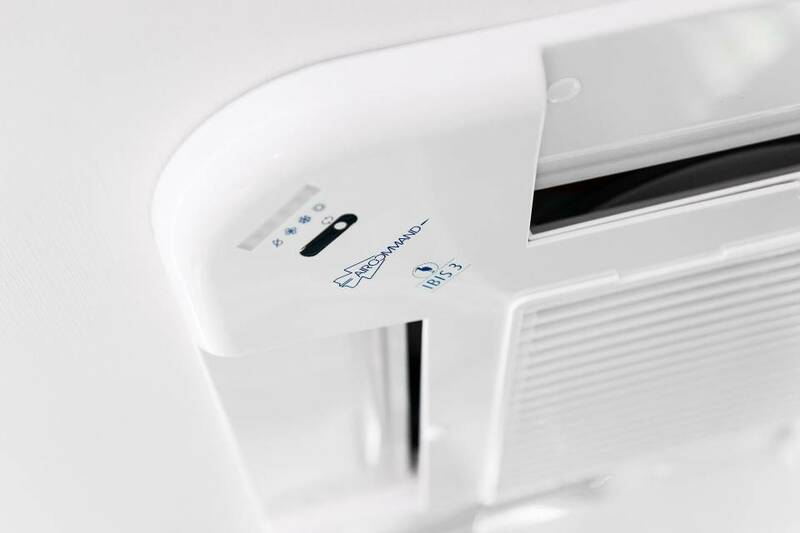 Standard features include a tropical-rated Dometic fridge, washing machine, a Thetford oven, and to top it all off, a reverse cycle air-con and heating slimline unit to guarantee pure comfort in any climate. 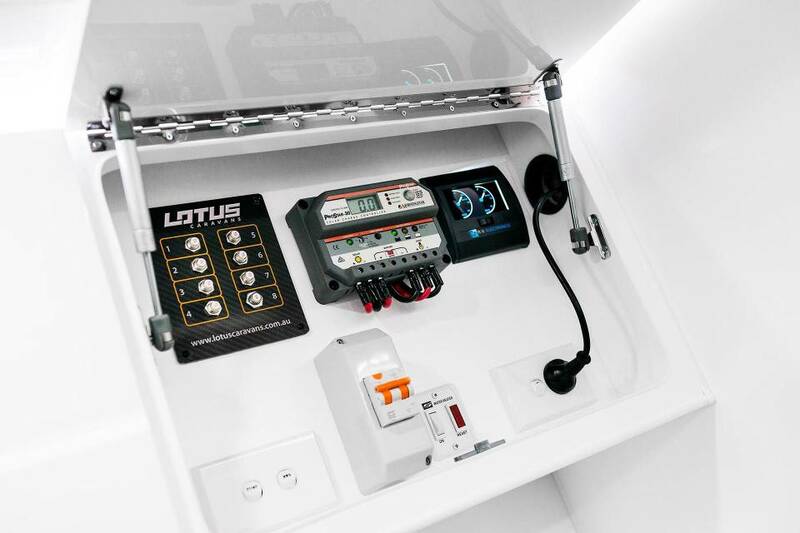 Off-the-grid camping is at your fingertips with a 150W solar panel and 120Ah battery taking care of all your power needs while complete LED lighting provides the comfortable lifestyle you’ve been looking for. 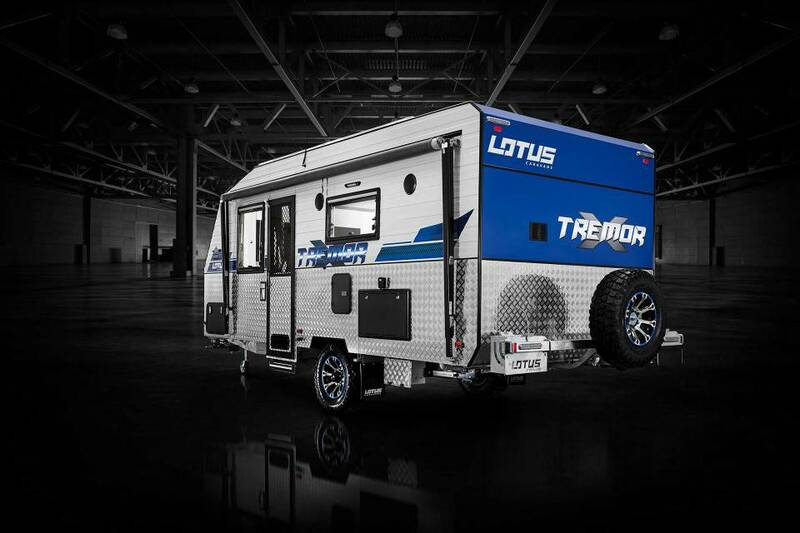 Backed with an extended two-year manufacturing warranty, the Tremor is bound to open up the world of off-road caravanning to a new generation of travellers. 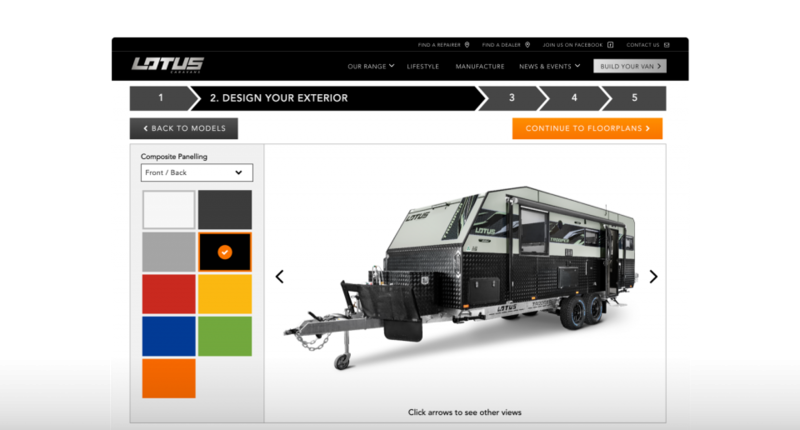 There is one purposefully designed floor plan, and an extensive colour range to suit everyone’s tastes. 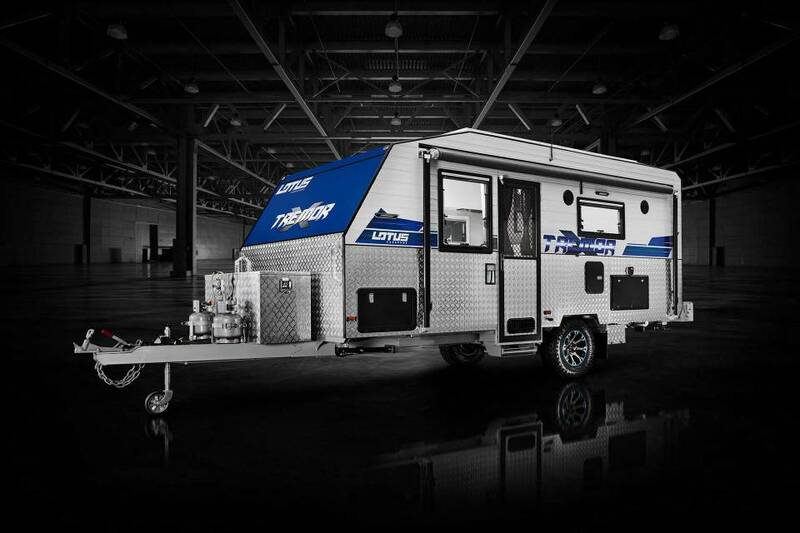 The Tremor is bound to open you up to a whole new world of off-road caravanning. 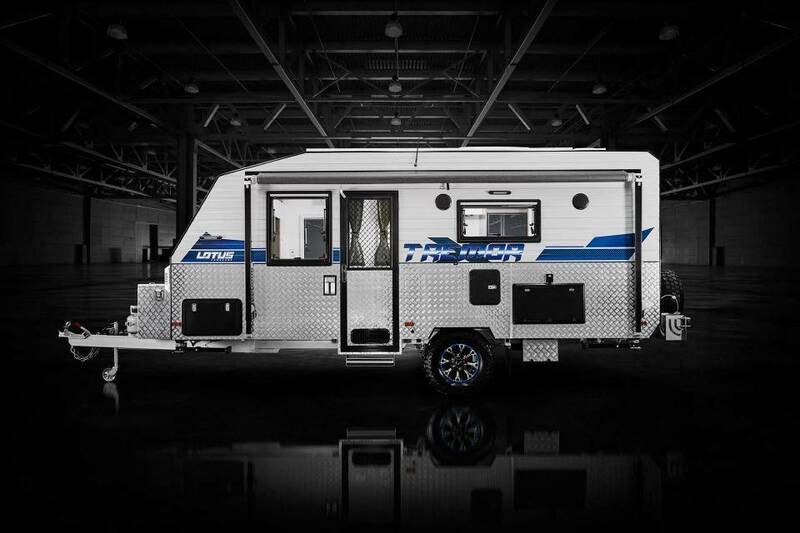 The Tremor is your ticket to the carefree lifestyle you’ve always dreamed of. 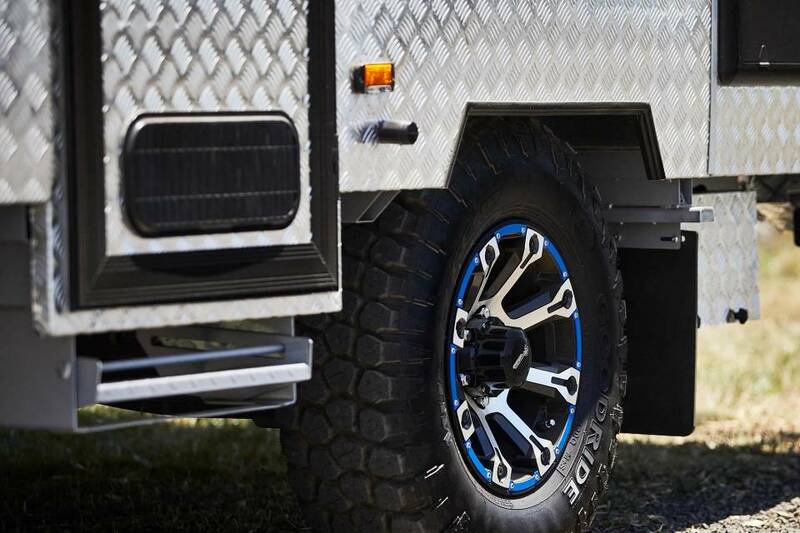 Ride smoothly across any terrain on the Control Rider independent suspension. 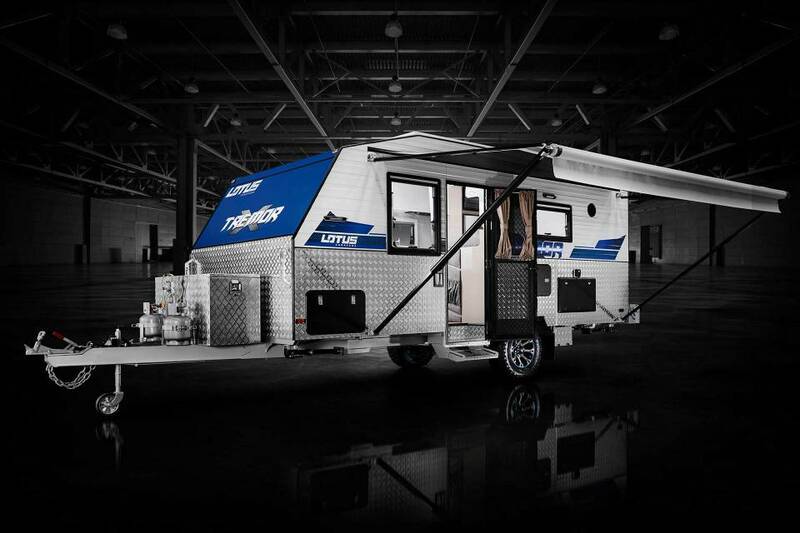 Camp anywhere with a 150W solar panel and 30Ah battery and enjoy the fully equipped kitchen, comfort lounge and ensuite for five-star luxury in the roughest of places.